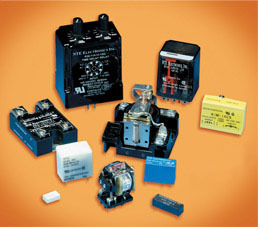 New from NTE is our R03 Series Full-Feature Relays which offer a "One Stop Solution" for your Power Management System. NTE's extensive line of UL & CSA listed relays and accessories feature over 750 different NTE relays that you can cross reference to more than 85,000 industry types from 267 different suppliers. Included is a remarkable multifunctional programmable timer/counter that can be programmed to 10 different timing modes, two counting modes, and AC or DC input, slim-line I/O modules in industry standard packaging, PC mountable relays suitable for 5mm grid patterns, PC mountable relays for telecommunications, security and appliances, two different types of thermal circuit breakers, plus new industrial types for HVAC, machinery and equipment applications.